Show of Hands: Should Districts Cater to Students’ Learning Styles? As a thoughtful leader and dedicated difference-maker in your school district, you will do anything to provide the best possible experiences for your students, faculty, and staff. But even though it may be easy to say, “Yes, we must cater to every student’s learning style,” experienced superintendents are savvy enough to explore personalized learning environments (PLEs) from both sides. In general, personalized learning “tailors instruction, expression of learning and assessment to each student’s unique needs and preferences.” With adequate access to high-quality education technology tools, school districts are best prepared to transform PLEs into “spaces for the modern learner to create, explore, and communicate.”1 Theoretically, personalized learning may sound like a no-brainer initiative in K-12 schools. But are PLEs practical? And if so, are they really an effective method to achieve student and teacher outcomes? Let’s take a look at three critical components of any PLE and weigh the pros and cons. 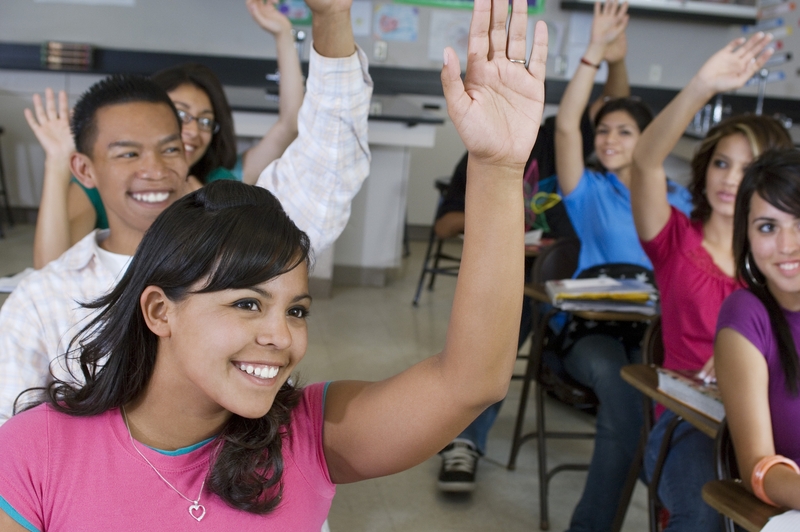 Pro: Active participation allows a student to take ownership of his or her own learning. By creating and navigating one’s own learning environment within the overall context of a shared classroom, students are empowered to identify areas of interest, engage a dialogue with others, and create content of their own accord. As you know, such student-centered learning is a key component to many successful classrooms. Con: The expectation of student participation depends on a great deal of trust between a teacher and his or her students. For example, while some students in a 10th grade English classroom might be emotionally and intellectually prepared to navigate a PLE safely and responsibly, others might not. PLEs run the risk of opening up students to potentially off-task—or even risky—activities online. Pro: You don’t need a quote or pie chart to know that the vast majority of adolescent students are active on some sort of social media. In fact, you’ve likely already seen those stats before. Everyone knows that students are already familiar with using web tools and apps to engage content. In a PLE, students can draw from their previous experiences to explore new learning opportunities. With a familiar platform on which to learn, students ought to be more interested in their education, and therefore be more willing to make meaningful contributions. Con: Here’s a stat that matters: While “94 percent of all school districts in the country [United States] meet minimum federal connectivity target,” there are still “6.5 million students who lack adequate internet in their classrooms.” PLEs are only a consideration in classrooms with online access, and that doesn’t even account for the cost of edtech needs such as laptop and operating systems. PLEs are potentially expensive and inaccessible initiatives. Pro: College and career readiness is dependent on a student’s ability to collect, analyze, and interpret information in a clear and logical way—especially interpersonally. In a PLE, students must depend on their ability to interact with an authentic audience. Research assignments in a PLE, for example, would require students to engage in an actual conversation with experts in the field. The process is less “read and report” than it is “engage and discuss.” Is daily discourse not the foundation of any workplace or academic environment? PLEs can prepare students for their future roles at work and on campus. Con: Yes, it is important for educators to help students grow up to become thoughtful, well-articulated human beings—and PLEs support that. But not all kids are cut out for social interaction. Heck, not even all people are. Some of the shyer (or socially awkward?) students might have trouble with the interactions required of PLEs. As such, PLEs run the risk of alienating certain students. Putting the concept of a PLE into action. PLEs may be best-suited for a select group of teachers and students in your schools. For example, tech-savvy teachers of older students in AP classrooms are probably the ideal audience for a PLE. This group, when prepared with high-quality technology (internet, laptops, apps), can achieve significant growth in your school district and beyond.